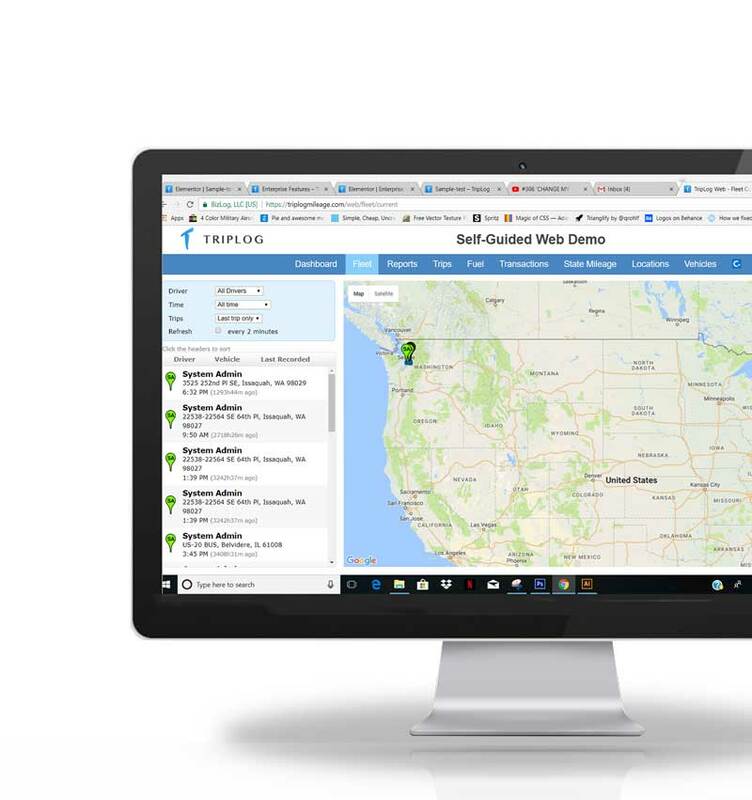 Explore the enterprise-class mileage tracking and reimbursement features TripLog has to offer. Take a sneak-peek of our web dashboard. We will contact you shortly. Personal cars, company cars, fuel cards, we cover them all. Daily commute mileage, Google Maps distance, lock down users, and so many more. Upload a predefined list of addresses and share across the entire company. New visits can also be shared automatically, excluding employees' home addresses. Trips captured by TripLog can be directly uploaded to Concur or QuickBooks Online, or any other systems using our industry standard web API. Multi-level approver chain, out-of-office/alternative submission, department/office grouping, approver and accountant roles. Place all the drivers on a map at the same time. Track their driving route in real time with auto refresh. Optionally, load a list of destinations to see how close they are. From set-and-forget options like MagicTrip™ to tracking with our newly released TripLog Beacon, it’s easy to find an option that fits your all your needs. Simple cents-per-mile reimbursement is just one of the mileage programs we offer at TripLog. We specialize in all IRS compliant mileage programs including Car Allowance, Smart Mileage Rate, Fuel Cards, and Fixed and Variable Rates. Contact us for a complimentary money saving analysis. We would love to develop a tailored solution to fit your organization. Check out our first-of-its-kind web dashboard. Easily analyze charts & reports, set approvals, and manage your users all in one all-up view. This simple, yet powerful tool allows you to take control of your mileage spend like never before. Just enter your name and email to give it a try!